Years Racing / Home Town? You and your sister Saya both have cool names give us the history? Saya and I are half Japanese, and half British, born in Australia. When we were born, we took on our Dad’s last name, Ward. Our family moved to Japan when I was 4, and my parents decided that it would be easier to go by her last name, Sakakibara while we lived in Japan. We represented Japan at our first ever World Championships under our Japanese name, so decided to continue using it when we later moved back to Australia. How did you find BMX and what was the scene like growing up racing with your sister? I just loved riding my bike as a kid – my earliest memories are those of me skidding down the hill next to our house. My parents coincidentally spotted Ashmore BMX track on our way back from kindergarten one day, and started taking me there to ride. It wasn’t long until they bought me my first race bike and I have been racing ever since! Saya on the other hand didn’t show any interest in the sport at all, but was rather forced into it because my parents were driving me to races and practice every weekend. I think our love for the sport is mutual now, and it’s been great sharing amazing training, traveling and competition experiences with family. Who were some of your early influences and people that have helped you along the way? Man, there are so many to name. But I have to say one of my biggest influences as a kid was Masa Sampei (current National Coach of Japan). Masa was someone that I saw at our local track in Japan every week, and he was really good domestically. He won the 2004 World Championships in both 20inch and cruiser classes, and this was the moment that proved to me that Japanese riders can make it on the world stage as well. Australia has always produced so many great riders over the years that have won on the biggest stages. Why you think the Aussies are so good? I think Australians have been lucky in that we have had pioneers that have paved the way into international success for as far back as I know the sport. 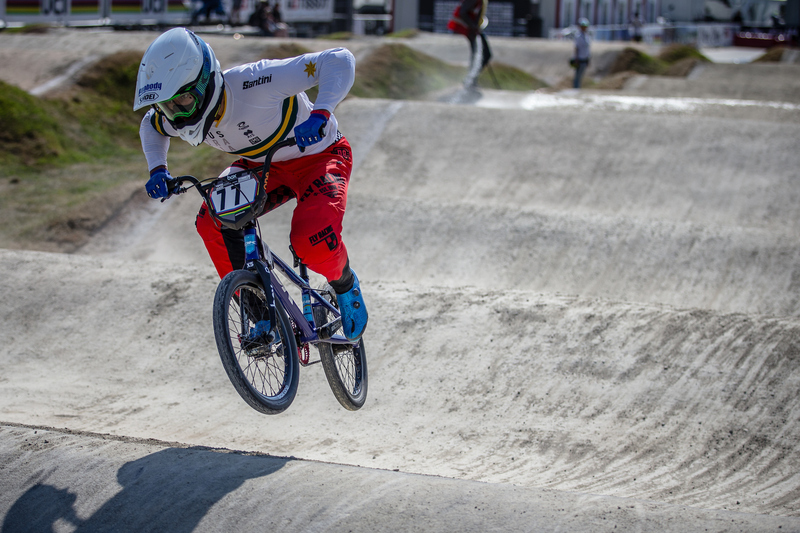 Wade Bootes, Warwick Stevenson, Luke Madill, Sam Willoughby and Anthony Dean are just some of the riders that have established themselves as contenders on the international circuit. I think having these guys to look up to have always given younger riders belief, and inspired the next generation of riders to follow their footsteps. I hope to be able to play the same role for the next generation coming through. You’re one of the few guys that can make good moves and have good track speed and a solid “race head”. What do you put that down to? Thanks! I spent a lot of my early days in the Elite class out-powered by older and stronger riders, so I really had to be smart to be able qualify through each round. I think having this experience battling in the mid/back of the pack really helped me with my race strategies and are really paying off now as I’m able to battle with the big guns from the start of the race. Seems like you’re really settling in well in the Elite Class at the World Cups. How would you sum up the last few seasons and what are you looking to improve on moving forward? Last year was a breakthrough year for me, making my first ever (and second) World Cup finals. I finished last year’s World Cup series in 10th overall which was a huge confidence booster for me, and I’m currently sitting in 8th in this year’s rankings. I really do believe that it is a rider’s mere mental approach that distinguishes between the top 10% of the sport. Outside continuing to improve physical capabilities in the gym and technical skills on the track, I’ll be looking to improve mental consistency so that I can deliver world class performances at every event I attend. Great to see you out in the States again racing and putting in some solid rides putting it in the mains. How do you feel about your results in both Kentucky & Chula Vista? The biggest reason for coming to the USA for these events was to treat them as my pre-events for the World Cup in Argentina, as I hadn’t done any international level events since the Worlds in June. I was riding well overall, but a couple of things stood out for me that prevented me from doing better than I did. However, it was great that I did the events as it gave me time to correct a few things before the World Cup in late September! Looks like DK has stepped up their support for you and your sister since you’ve been in the States. How’s the vibe over there and I take it you’re all locked in for the next few years? 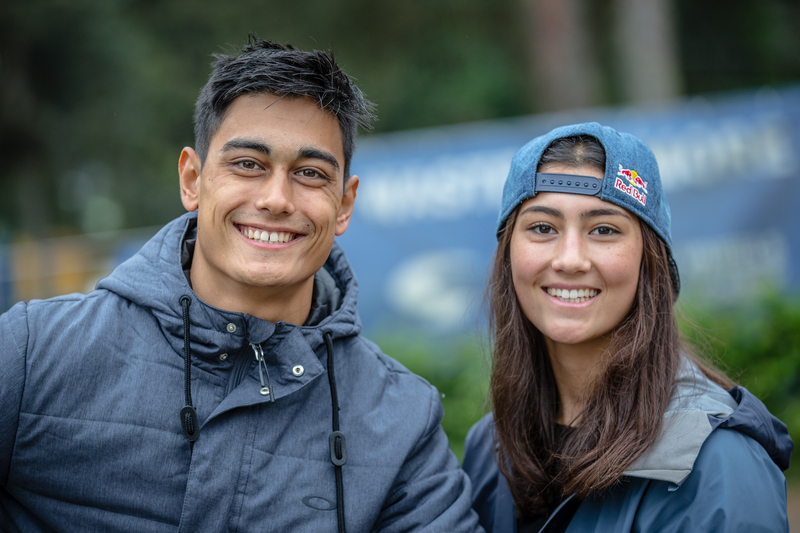 Saya and I have been riding for DK since the start of 2017, but made the jump to the factory team in the middle of this year. We have always had huge respect for the DK brand, and were stoked to take the next step when they offered us factory deals – there are a lot of common values between DK and Sakakibara, with DK valuing family very highly as well. We spent a few days in Dayton, Ohio at the DK HQ prior to heading to Louisville for the race, and we couldn’t be happier to be part of such a well-respected brand with deep roots in BMX. Must say you and your sister do a great job online through social media. Who are some of the other riders or people you like you follow? Thank you! I’m a huge fan of The Rock. I love how humble and down to earth he is as a person, but he portrays this so authentically on social media as well. What’s the plan for the rest of the season? Any additional US appearances planned or back home? I’ll be heading to the World Cup in Argentina, then onto the Sunshine State National in Florida before heading back home. Will then be straight into off-season work getting ready for the last 1.5 years into Tokyo 2020! Final words and shout outs? Thanks guys for reaching out, and always a huge thanks to my support team that keeps me going through the highs and lows. You know who you are!